Flying by charter differs from scheduled aviation in many ways, but from the point of view of the customer it can be summarized in three words: efficiency, privacy and flexibility. You may be a corporate travel planner trying to get eight executives from New York to Nebraska as safely and with as little downtime as possible. You may be trying to lift a critically ill patient from one hospital to another. You may be trying to move the all-star cast, crew and equipment of a block-buster film from Los Angeles to Vancouver, or you may just be trying to get your family from London to Aruba as swiftly and comfortably as possible. Whatever your priorities, charter air travel gives you the freedom to organize the trip around your needs. When you fly scheduled airlines, you travel on the airline's schedule (assuming they're on time) and zigzag along their hub-and-spoke routes, connecting here, changing planes there, and sometimes doubling or tripling your travel time. Long drives to and from large commercial international airports, time spent reserving, picking up and clearing airline tickets and checking, tagging or even losing luggage drains your productivity even further. You then wait in lines with no end in sight, only to disrobe, unpack, be searched and then get dressed. You repack and regain your dignity, while finally climbing aboard an aircraft with 300 perfect strangers. A useful and private business meeting on board a commercial airliner is all but impossible, and completing work confidentially or otherwise is more than a challenge. With charter, you fly where you want, when you want, in the plane you want, and with extra amenities you choose yourself. 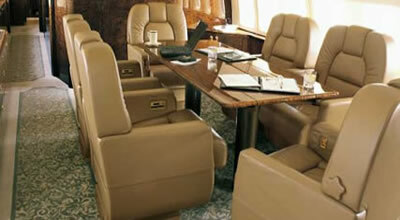 Increasingly more and more business and pleasure travelers are discovering the advantages of charter travel. Time is money and every wasted moment is a lost opportunity. Aircraft charter puts you in control of your schedule by placing a fleet of aircraft at your disposal anywhere you are in the world. airway distance: The actual (as opposed to straight line) distance flown by the aircraft between two points, after deviations required by air traffic control and navigation along established routes. The difference between this and straight line distance will vary throughout the country. Average figures would be between 5–9%.amphibious floats: FLOATS or "pontoons" equipped with retractable wheels that permit the aircraft to operate from paved airports. ARO: Airport reservation office. Staffed by the FAA, this entity allocates landing and take-off reservations for unscheduled aircraft in and out of the following airports: JFK, LGA, EWR, DCA, ORD (see airport identifier listings for codes). Since these allocations are scarce and granted 48 hours in advance on a first-come-first-served basis, travel to these five airports may be difficult by charter. Greenjets gives you access to many empty leg, one way, and shared ride opportunities at very low prices. The listings are not scheduled flights. All times and locations are negotiable. Contact us directly to determine if your Aircraft Charter Service Travel Requirements fit within the charter aircraft's availability. Greenjets will find you an aircraft charter anywhere. We offer the lowest cost charter in the industry, with no hidden fees. We only use operators with ARG/US Gold or Platinum safety ratings. Green Jets Incorporated (Greenjets) arranges flights on behalf of clients and Greenjetcard members with FAR Part 135 air carriers that exercise full operational control of charter flights at all times. Greenjets does not own or operate aircraft. Flights are operated by FAR Part 135 air carriers that meet all FAA safety standards and additional safety standards established by Greenjets. jet charter and is part of general aviation. Air charter is the business of renting an entire aircraft (i.e., chartering) as opposed to individual aircraft seats (i.e., purchasing a ticket through a traditional airline). While the airlines specialize in selling transportation by the seat, air charter companies focus on individual private aircraft and itineraries, urgent or time-sensitive freight, cargo, air ambulance and any other form of ad hoc air transportation. In the United States air charter and air taxi operations are governed by Part 135 of the Federal Aviation Regulations, unlike the larger scheduled airlines, which are governed by more stringent standards of Part 121 of the FARs, which are regulations designed for scheduled air carriers. The growth of corporate aviation and related air taxi and air charter suppliers, boomed following the close of World War II. With surplus aircraft available, air charter companies entered the business of charter flights for executives, high end travelers, special missions (such as organ donor flights, critical auto parts freight, etc. ), sports teams, entertainers, etc. The 1960s saw the arrival of the first small jets, such as the Learjet. The Learjet was adopted by some of the first jet air charter operators, such as Hop-A-Jet and Clay Lacy. Both companies still exist today as larger charter management firms. Charter management became popular at the dawn of the private jet age as a way for companies to own aircraft "off their books" - namely away from the prying eyes of shareholders. Local entrepreneurs realized that by managing the aircraft that belonged to another entity (one that could afford to buy the multi-million dollar aircraft) they could help offset the cost of ownership through rental income and aggregate owner costs for insurance, fuel, maintenance, etc. Today, this type of aircraft ownership arrangement forms more than 75% of the on-demand air charter industry for the United States, which encompasses about 70% of the air charter activity in the world. In 2004, the FAA began the process to re-regulate the Part 135 industry, mainly due to the widespread problems created by the tension between aircraft owners and management companies. The FAA felt that air carriers (the air charter companies) had in some cases begun to lose operational control. The term "operational control" indicates which entity (aircraft owner, management company, broker, etc.) is controlling the aircraft's movements, crewing and compliance with applicable government regulations. In 2006 the FAA released a new Operations Specification regulation and guidance which more clearly defined the requirements for operational control of an aircraft performing a private charter flight. Several options are available for flying privately, according to investment available and flight frequency desired. Fractional ownership programs popularized the notion of private aircraft use and ownership in the 1990s. A number of owners share an aircraft (or a certain type aircraft - one of many a fractional company manages). Owners purchase typically from 1/2 to 1/16 of an aircraft, pay a per-flight-hour charge, related fuel and flight fees, and divide management expenses. Fractional aircraft ownerships growth led to the advent of regulations in the United States designed to regulate fractionally owned aircraft companies. These regulations are given in Part 91 Subpart K and bring fractional aircraft operations into line with existing air charter regulations, making fractional ownership into simply another flavor of ad hoc air transportation. 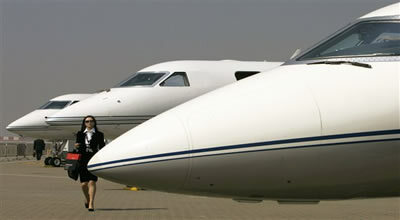 Jet Membership was created in 1999 by Sentient Jet, and allowed fliers to secure guaranteed access to charter aircraft in exchange for putting funds on deposit into a debit-card style account, with aircraft provided based on booking in a size category rather than by a specific aircraft model. Jet Cards became popular around 2002-2005 when fractional companies and jet charter brokerages began offering pre-pay debit accounts for per-hour private aircraft charters on specific aircraft models. Customers would pre-pay around $120,000 - $500,000 for a set number of flight hours on a particular aircraft model. Those hours may expire at a designated time or be available for partial refund. On Demand Charter is trip by trip, pay as you go charter. One of the earliest forms of private flying and still growing, the passenger selects a specific charter quote provided by a local aircraft operator or national broker and pays for that trip alone, either before or after the flight. Jet Membership, Jet Cards and On Demand Charter fall under more stringent FAA regulations Part-135 governing aircraft for hire with paying passengers. Shared-Ride Private Jet Service is a new type of on-demand private charter which is sold by the seat and is operating in major markets along the Eastern US corridor. These services comingle passengers on private jets and access smaller local private airports in order to by-pass the major airports. The service is marketed as a quicker way to fly, with less hassle compared to the airlines. Seat prices can approach the affordability of full-fare airline prices. Some per-seat charter services like Greenjets sell themselves as "greener" and more responsible, as they are far less expensive than conventional private air charter and they can potentially reduce the number of jets in the air by placing multiple passengers on a single jet instead of them flying alone. The result can be fewer planes flying burning less fossil fuel and a reduced overall carbon footprint. Greenjets plans service to 30 major US markets by 2011. Small helicopters with carrying capacity of 4-12 people have also become very popular. They cost far less than fixed winged aircraft and do not need an air strip to take off or land. Some aviation professionals foresee the middle class traveling easily and with much less expense than is currently possible, using VLJs (very light jets) and other types of comparatively inexpensive aircraft. New technologies in engine design, airframe manufacturing methods, computer aided design and avionics as well as ATC upgrades, many say, will come together to drastically reduce cost while increasing efficiency, comfort and safety. These aircraft (such as the Eclipse 500) are said to be easier to fly and much cheaper to produce than current production jets. 5,400 small airports across the United States make point-to-point air travel on smaller jets quicker for travelers than the airline hub and spoke system. Next generation avionics and systems may also make these small airports accessible even in poor weather conditions. RTI International, a nonprofit research organization, has developed a modeling and simulation tool which allows operators (or potential investors) the opportunity to craft a living business plan to gauge the potential of any prospective air taxi operation. Developed to answer questions about the economic and operational feasibility of the air-taxi market/business case during the SATS program, it has now been adopted in Europe and the US by a broad user base desiring to plan and optimize operations. Despite the substantial investments by firms such as DayJet, other aviation professionals remain skeptical on whether we can expect this mode of travel to flourish due to the decreased cost of personal air travel. The primary obstacles being that aircraft utilization is the largest limiter in reducing costs of operation (fixed overhead) not necessarily advancements in technology. The most notable evidence / example of this problem is the fact that direct operating costs of VLJs are not substantially lower than existing turbofan and turboprop technology that can carry larger loads, greater distances, and in some cases for a smaller initial investment. BLOCK RATES: A LOWER "CONTRACT RATE" FOR SCHEDULING SIGNIFICANT AMOUNTS OF CHARTER TIME IN ADVANCE ON A PRE-ARRANGED AGREEMENT. BLOCK SPEED: THE AVERAGE SPEED OVER A SPECIFIC DISTANCE "BLOCK-TO BLOCK", OR DOOR-TO-DOOR WITH RESPECT TO THE AIRPORT GATE. BROKER MARGIN: THE DIFFERENCE BETWEEN THE FLIGHT CHARGES ASSESSED BY THE CHARTER OPERATOR AND THE FLIGHT CHARGES ASSESSED BY THE CHARTER BROKER. CERTIFICATE: FAA-ISSUED LICENSE (IN THIS CONTEXT SOMETIMES REFERRED TO AS TICKET, PART 135 LICENSE, ETC.) TO CARRY PASSENGERS FOR HIRE. CHARTER BROKER: A COMPANY OR INDIVIDUAL THAT BUYS CHARTER AT WHOLESALE AND RESELLS IT AT RETAIL. THE BROKER IS RESPONSIBLE FOR PAYMENT TO THE CHARTER PROVIDER, FOR ASSESSING END-USER TAXES AND FEES, AND FOR ENSURING THEIR CUSTOMER'S SAFETY AND SATISFACTION. A CHARTER OPERATOR MAY ACT AS A BROKER TO PROVIDE SUPPLEMENTAL LIFT TO THEIR CUSTOMER. CHARTER OPERATOR: A COMPANY OR INDIVIDUAL THAT HOLDS AIRCRAFT CHARTER CERTIFICATES AND PROVIDES CHARTER SERVICES TO RETAIL AND WHOLESALE CUSTOMERS. CHARTERX (CX): CHARTERX'S ONLINE APPLICATION FOR AIR CHARTER SALES AND MARKETING. AVAILABLE TO RECOGNIZED CHARTER OPERATORS AND BROKERS BY ANNUAL SUBSCRIPTION. CHARTER XCHANGE DAILY (CX): CHARTERX'S OPT-IN DAILY EMAIL NEWSLETTER. IT INCLUDES CURRENT RELEVANT NEWS, CHARTER HUMOR, PAID ANNOUNCEMENTS, TIPS ON USING INDUSTRY EXCHANGE FEATURES, AND IMMINENT WORLDWIDE EMPTY LEGS. COMMUTER OPERATOR: A REGIONAL, SCHEDULED AIRLINE. IN THIS BOOK LIMITED TO THAT OPERATOR WITH ADEQUATE FLEET CAPACITY AS TO BE AVAILABLE OF CHARTER. NOT ALL COMMUTER AIRLINES CHARTER, BECAUSE OF THE LIMITATIONS OF AIRCRAFT AND CREW AVAILABILITY. CORPORATE OPERATOR: A COMPANY FLIGHT DEPARTMENT THAT HAS EARNED A PART 135 CERTIFICATE TO CARRY PASSENGERS FOR COMPENSATION. CRUISE SPEED: THE AIRCRAFT SPEEDS SHOWN IN THE AIRCRAFT LISTINGS IN THIS DIRECTORY. CRUISE SPEED IS THE NORMAL SPEED ATTAINED AT ALTITUDE ONCE THE AIRCRAFT IS NO LONGER CLIMBING AND IS EN ROUTE. D-085: PAGE 85, SECTION D, OF AN OPERATOR'S FEDERALLY MANDATED OPERATIONS MANUAL. 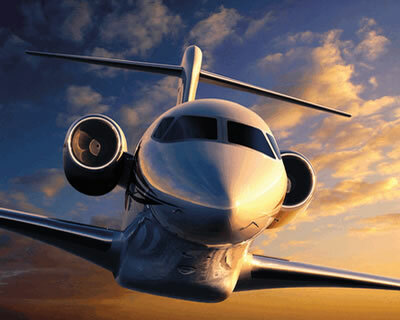 THIS CERTIFIED PAGE LISTS ALL AIRCRAFT THAT THE OPERATOR MAY LEGALLY OFFER FOR CHARTER. DEADHEAD: ORIGINALLY A NOUN, NOW A VERB MEANING TO FLY THE RETURN LEG OF A TRIP WITHOUT CARGO OR PASSENGERS. ORIGINALLY COINED DURING THE INFANCY OF THE MAJOR AIRLINES, THE TERM WAS PEJORATIVELY APPLIED TO COMPANY EMPLOYEES OR SPOUSES, WHO WERE STRAPPED INTO OTHERWISE EMPTY SEATS TO GIVE THE APPEARANCE OF HIGH BUSINESS VOLUME. DUTY TIME: THAT PORTION OF THE DAY WHEN A CREW MEMBER IS ON DUTY IN ANY CAPACITY (NOT JUST IN THE AIR). THIS CAN BE A CONSTRAINT ON LONG DAY-TRIPS, AS THERE ARE FAA-IMPOSED LIMITS ON THE AMOUNT OF TIME ALLOWED ON DUTY. MANY CHARTER OPERATORS HAVE STRICTER RULES, SO IT PAYS TO INQUIRE BEFORE PLANNING A TRIP TOO TIGHT TO THE LIMIT. EMPTY LEG: ALSO KNOWN AS "ONE-WAY AVAILABILITY". SINCE CHARTER TRIPS TYPICALLY CHARGE FOR THE ROUND TRIP TRAVEL OF THE AIRCRAFT, EMPTY LEGS CAN OFTEN REPRESENT RELATIVE BARGAINS. THESE ARE USUALLY POSTED AS AVAILABLE FOR TRAVEL BETWEEN TWO AIRPORTS DURING A CERTAIN TIME PERIOD. EXPORTER (CX): REFERS TO ANY PROGRAM DESIGNED TO EXPORT AVAILABILITY DATA FROM AN OPERATOR'S SCHEDULING SOFTWARE TO THE AVAILABILITY CALENDAR ON THE INDUSTRY EXCHANGE. FBO: FIXED-BASE OPERATOR, WHICH REPRESENTS A LARGE MAJORITY OF THE AIR CHARTER INDUSTRY. BY DEFINITION AT A PERMANENT LOCATION, THIS IS A VENDOR OF SERVICES, MAINTENANCE, FUEL, FLIGHT INSTRUCTION, AND AIRCRAFT SALES, IN ADDITION TO CHARTER. FLEET MANAGER: A COMMERCIAL AVIATION ENTITY DEVELOPED TO SUBCONTRACT THE MAINTENANCE AND OPERATION OF CORPORATE AIRCRAFT, WHICH ARE OFTEN CHARTERED OUT TO THE GENERAL PUBLIC. FLIGHT TIME: THAT PORTION OF THE TRIP ACTUALLY SPENT IN THE AIR. FOR BILLING PURPOSES THIS DEFINITION IS GENERALLY STRICT AND ONLY APPLIES FROM MOMENT OF LIFT-OFF TO MOMENT OF TOUCH-DOWN. FLOATS: PONTOONS, OR FLOTATION DEVICES, THAT ENABLE AN AIRPLANE (OR HELICOPTER) TO LAND ON WATER. GUID (CX): GLOBAL UNIQUE IDENTIFIER. REFERS TO THE ALPHA-NUMERIC CODE ASSIGNED TO EACH CHARTERX MEMBER'S ACCOUNT ON THE INDUSTRY EXCHANGE. THIS CODE ALLOWS AN XQUOTE SESSION INITIATED FROM A MEMBER'S SITE TO LINK TO THE APPROPRIATE DATA. GADO: GENERAL AVIATION DISTRICT OFFICE OF THE FAA. AS THE MOST LOCAL BRANCH OF THE FAA, ALSO THE ENTITY MOST LIKELY TO KNOW THE SPECIFIC HISTORY OF A CHARTER OPERATOR. GENERAL AVIATION: THAT PORTION OF AVIATION OTHER THAN MILITARY OR COMMERCIAL SCHEDULED OPERATIONS. COMMERCIAL UNSCHEDULED OPERATIONS, CORPORATE FLIGHT OPERATIONS, AND PRIVATE AVIATION ARE THE MOST CONSPICUOUS MEMBERS OF THIS GROUP. MOST MAJOR METROPOLITAN AIRPORTS TEND TO HAVE A SEPARATE "GENERAL AVIATION" TERMINAL, WHERE A CHARTERED FLIGHT IS LIKELY TO DEPART OR ARRIVE. GREAT CIRCLE DISTANCE: THE SHORTEST DISTANCE BETWEEN TWO POINTS ON A GLOBE. ALL DISTANCES SHOWN IN DISTANCE TABLES IN THE CHARTERX ARE "GREAT CIRCLE DISTANCE". IFR: INSTRUMENT FLIGHT RULES (FLIGHT IN CLOUDS). ILS: INSTRUMENT LANDING SYSTEM. LOW-LEVEL APPROACH EQUIPMENT AT CERTAIN AIRPORTS. IN THE AIR CHARTER GUIDE, AIRPORTS WITH ILS SYSTEMS ARE INDICATED IN BOLD FACE TYPE IN THE AIRPORT LISTINGS. THOUGH INSTRUMENT APPROACHES AND DEPARTURES CAN BE MADE IN AIRPORTS WITHOUT AN ILS, ITS PRESENCE IS A MATERIAL BENEFIT TO THE TRAVEL PLANNER BECAUSE AN INSTRUMENT LANDING SYSTEM IMPROVES TRIP RELIABILITY AS CLOSELY AS POSSIBLE TO THE LEVEL OF SCHEDULED AIRLINES, WHICH GENERALLY FLY FROM AIRPORTS WITH THESE FACILITIES. INDEPENDENT OPERATOR: A CHARTER OPERATOR THAT DOES NOT MEET THE DEFINITION OF FBO OR COMMUTER, BUT MAY NOT BE INVOLVED IN CONTRACT MANAGEMENT OF AIRCRAFT. THE LARGER INDEPENDENT OPERATORS, HOWEVER, ARE VERY CLOSE TO THE FLEET MANAGER IN BUSINESS APPROACH. INDUSTRY EXCHANGE (CX): THE INDUSTRY-ONLY AREA OF THE CHARTERX WEB SITE WWW.CHARTERX.COM. IT SERVES AS A RESOURCE CENTER AND VIRTUAL MARKETPLACE FOR THE AIR CHARTER INDUSTRY. USERS THAT SUBSCRIBE TO CHARTERX ACCESS ADDITIONAL ENHANCED FEATURES ON THE SITE THAT GIVE THEM A SALES AND MARKETING ADVANTAGE. LAYOVER: A NIGHT SPENT IN THE MIDDLE OF THE TRIP IN A CITY OTHER THAN HOME BASE FOR THE AIRCRAFT AND CREW. LEG: DESCRIBES ONE DIRECTION OF TRAVEL BETWEEN TWO POINTS. COMMONLY USED IN REFERRING TO A PLANNED ITINERARY, IT MAY NOT INDICATE ALL LANDINGS SUCH AS FUEL STOPS. LIFT: ANY AIRCRAFT ENGAGED FOR TRANSPORT. MEDEVAC: MEDICAL EVACUATION (USUALLY EMERGENCY) SEEN IN THIS BOOK AS A SERVICE OF MANY HELICOPTER COMPANIES. NET/NET: THE QUOTE FORMAT THAT APPLIES WHOLESALE RATES AND DOES NOT INCLUDE TAXES OR OTHER END-USER ASSED FEES. ALSO KNOWN AS A WHOLESALE QUOTE. PART 91: THE SET OF FEDERAL REGULATIONS THAT GOVERN PRIVATE AIRCRAFT USE. PART 135: THE SET OF FEDERAL REGULATIONS THAT GOVERN THE COMMERCIAL HIRE OF JETS. POSITIONING TIME: TIME ESTIMATED FOR AN AIRCRAFT TO TRAVEL TO THE TRIP DEPARTURE POSITION. PREFERRED VENDORS (CX): OPERATORS THAT YOU ARE MOST LIKELY TO USE FOR SUPPLEMENTAL LIFT. THEY DO NOT HAVE TO BE CHARTERX MEMBERS. PROPJET: A PROPELLER DRIVEN AIRPLANE, IN WHICH THE ENGINE IS A JET TURBINE RATHER THAN PISTON DRIVEN. QUALIFIED VOLUME BUYER, ALSO QVB (CX): RECOGNIZED COMPANY OR INDIVIDUAL WITH A LARGE DEMAND FOR CHARTER. SUBSCRIPTIONS ARE AVAILABLE FOR QVBS TO USE AN ADAPTED VERSION OF THE CHARTERX FEATURES THAT ALLOWS THEM TO MANAGE INTERNAL REQUESTS FOR CHARTER AND TO FOCUS THEIR USE OF PREFERRED VENDORS. RAMP: THE APRON OR OPEN "TARMAC" IN FORM OF AN FBO OR TERMINAL FACILITY. THIS SPACE IS BUSY, USED FOR DEPLANEMENT, PARKING OF AIRCRAFT, ETC. SOME FACILITIES WILL PERMIT AUTOMOBILES TO DRIVE TO THE AIRCRAFT ON THE RAMP, A FEATURE OF REAL BENEFIT TO THE TRAVELER WITH HEAVY OR BULKY LUGGAGE. REPOSITIONING TIME: TIME ESTIMATED FOR AN AIRCRAFT TO RETURN TO ITS BASED POSITION AFTER COMPLETION OF A PASSENGER SEGMENT. RETAIL CUSTOMER: ALSO KNOWN AS THE "END USER". THIS CUSTOMER PURCHASES CHARTER FOR THEIR OWN USE AND IS ASSESSED FEDERAL EXCISE TAX (FET) AND SEGMENT FEES AS APPLICABLE. UNLESS THEY HAVE MADE SPECIAL ARRANGEMENTS WITH A PARTICULAR OPERATOR, THEY ARE USUALLY QUOTED THE MARKET RATE. RETAIL QUOTE: QUOTE PROVIDED TO RETAIL CUSTOMER INCLUDING TAXES AND END-USER ASSESSED FEES. SEARCHES: TRIP REQUESTS SUBMITTED BY RETAIL AND WHOLESALE CUSTOMERS THROUGH WWW.CHARTERX.COM, THE CHARTERX INDUSTRY EXCHANGE, VOLUME BUYER CHANNELS, CHARTERX CUSTOMER XQUOTE SYSTEMS, AND OTHER DISTRIBUTION CHANNELS. SEGMENT: DESCRIBES THE UNIT OF FLIGHT BETWEEN TAKE-OFF AND LANDING. SOMETIMES USED INTERCHANGEABLY WITH THE TERM LEG. STAGE LENGTH: DISTANCE OF ITINERARY NON-STOP LEG. TAXI TIME: THAT PORTION OF THE TRIP SPENT ROLLING BETWEEN THE GATE, TERMINAL, OR RAMP AND RUNWAY. VFR: VISUAL FLIGHT RULES (FLIGHT OUT OF CLOUDS). WAITING TIME: THAT TIME THAT THE CHARTERED AIRCRAFT AND CREW MUST WAIT ON THE GROUND DURING ANY PORTION OF THE TRIP. WHOLESALE BUYER: CHARTER BROKER OR CHARTER OPERATOR THAT YOU ALLOW TO REPRESENT YOUR AIRCRAFT TO THEIR CUSTOMERS. WHOLESALE QUOTE: QUOTE PROVIDED TO A WHOLESALE BUYER FOR THE PURPOSE OF RESALE. APPLIES WHOLESALE RATES AND DOES NOT INCLUDE TAXES OR END-USER ASSESSED FEES. ALSO KNOWN AS A NET/NET QUOTE. WHOLESALE RATES: DISCOUNTED HOURLY RATES OFFERED TO WHOLESALE BUYERS FOR PURPOSE OF RESALE. INDUSTRY AVERAGE IS A 5% DISCOUNT BUT THE RATE VARIES ACCORDING TO AGREEMENTS BETWEEN INDIVIDUAL CHARTER OPERATORS AND CHARTER BROKERS. XQUOTE (CX): THE ONLINE QUOTING FEATURE ENABLED FOR CHARTERX MEMBER COMPANIES. THE APPLICATION IS DRIVEN BY USER-SUPPLIED DATA AND CAN BE ACCESSED BY RETAIL CUSTOMERS THROUGH A MEMBER COMPANY'S OWN WEB SITE.